Hey guys! I use this app called Comics Amino where I meet many other comic book lovers. I managed to build a group who wanted to create debates around comic book topics. In this debate I use my username on the app, Dark-Monitor while I debate against someone else. 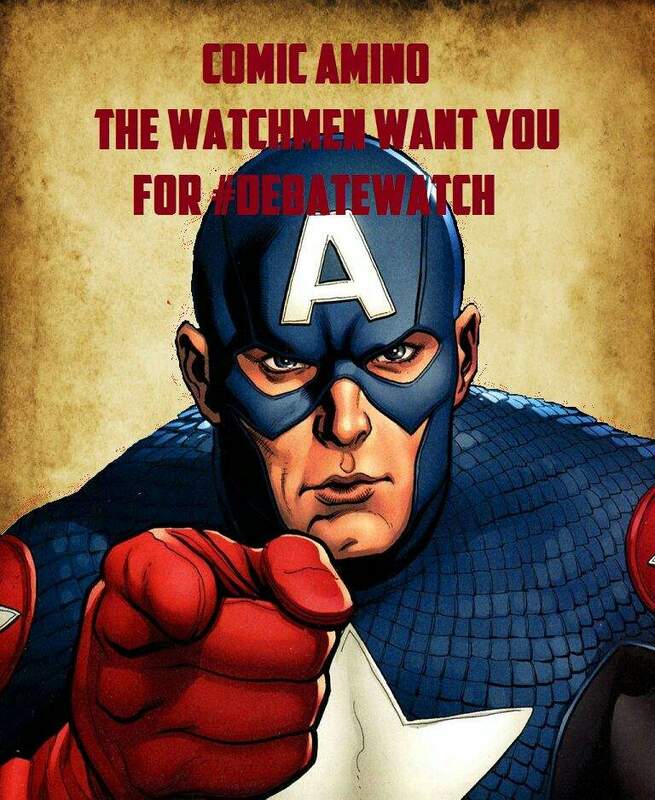 With this said we wanna welcome you to the first round of the Watchmen #DebateWatch challenge where people online debate the topics that matter. And if you want to take part in a debate let us know in the comment. You don’t need to have the Comics Amino app to debate. This debate was moderated by Rob Reynolds (user of the app Comics amino). This debate is between Dark-Monitor (me) and Spider-Man (Asad). 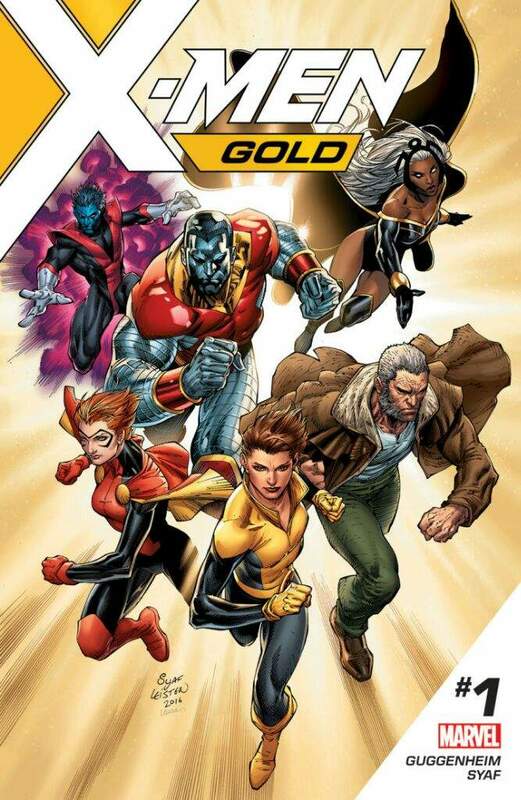 The topic is about X-Men: Gold # 1 and how artist Ardian Syaf used the artwork to hide anti-Semitic messages. Spider-Man’s position is that the issue was blown out of proportion, Dark-Monitor’s position is that it wasn’t. Rules 2-6 do not apply to the moderator as he/she is an Emperor and it is up to them to make sure everyone is on the peaceful side of things. I will let Spider-Man start with opening statements. SPIDER-MAN: I believe that Ardian Syaf should not have gotten the hate, controversy, and the end of his career. Dark-Monitor’s turn for opening statements. DARK-MONITOR: I believe that Ardian Syaf had clear intentions as to what he was doing and for reasons many would call racist or prejudice. This is why I think the outrage he let out was well deserved. First question goes to Spider-Man, why do you believe that something that some would say was meant to cause offense to Christians and Jews should not be brought to light the way it was? SM: I think it shouldn’t be bought to light the way it has been because, first off, the reason why the message was there was not clear. 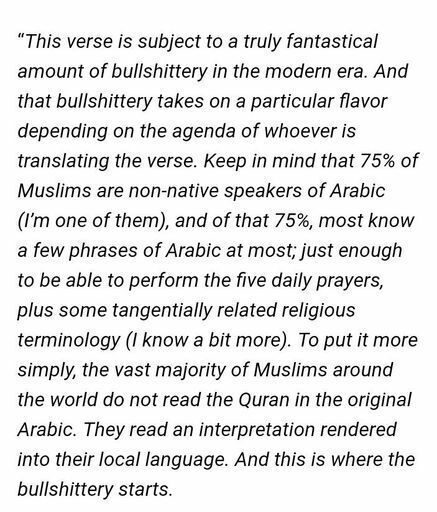 Second off, everyone got the meaning of the verse wrong entirely because the Indonesian translation does not cite what the verse says correctly from the Qur’an. Which leads into another reason, the verse is supposed to be used against the Pretenders of Judaism and Christianity. Verses later in the Qur’an actually only encourage you to befriend both as long as they do not drive you to misfortune or plot against you. I even have a blog for reference. DM: But he still condemns hate towards Christians and Jews. It’s not what the quote really means, but what it means to him. What it means that him is something evil. DM: I am not surprised, and he got what he deserved. I would’ve been more hesitant about saying this if it was just him doing something silly without the permission of Marvel, but these are literal hate messages he installed. Sure, the quotes may not really be targeting anyone but to him they do. Syaf knew exactly what he was doing. I mean there isn’t much to say. I am surprised Spider-Man took a stance to protect this guy when we know he means the words he is saying. SM: If he knew what he was doing, and he’s condemning hate against Christians and Jews, (as you said) because the verse is evil to him, then that’s a good thing. Whether or not it was okay for him to put it in a comic, business wise, it was not okay. As it had no place being there. But even then, that doesn’t warrant hate against him. DM: You think criticizing shouldn’t be aloud? SM: Yes. It should be. But at that point, it wasn’t criticising. It was heavy backlash even though he was genuinely trying to do a good thing that everyone was misconstruing. DM: A good thing?!!?! You’re saying hate against Christians and Jews is a good thing!?!?! DM: Oh shoot! I meant the opposite. Haha. 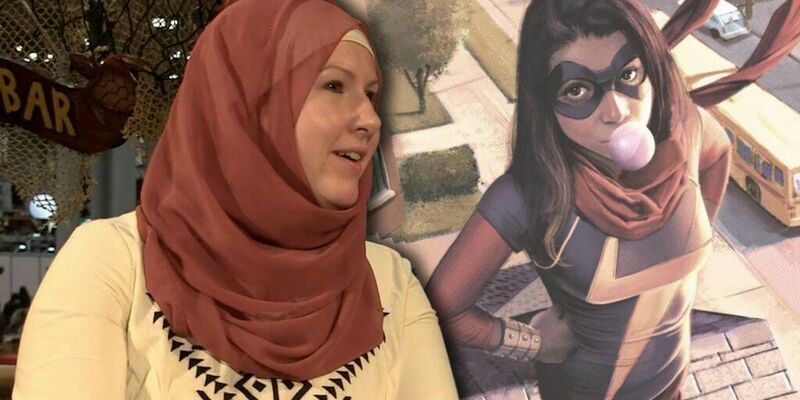 Spider-Man, you say that the verse was taken out of context, but G. Willow Wilson, a Muslim herself, said that Syaf deserved the backlash. What are your thought s on Wilson’s comment? DM: She clearly knew he was giving Muslims a bad name. Here is her whole quote by the way. SM: Well then, I do not know what to say as the reason why she said that. Unless she misunderstood the verse as well even as a Muslim. DM: Wait! Let’s go back to G willow Wilson comments. She actually said what I did. The verse in original language means what you were saying and that he was the one to misunderstand it as a radical act. SM: However, Ardian Syaf often works with both Christmas and Jews and he even said he does not hate them or condemn them. DM: Can you address the comment if the writer first and then we can move on to your point of love? SM: I think G Willow Wilson even as a Muslim herself may Even misunderstand the verse as well. 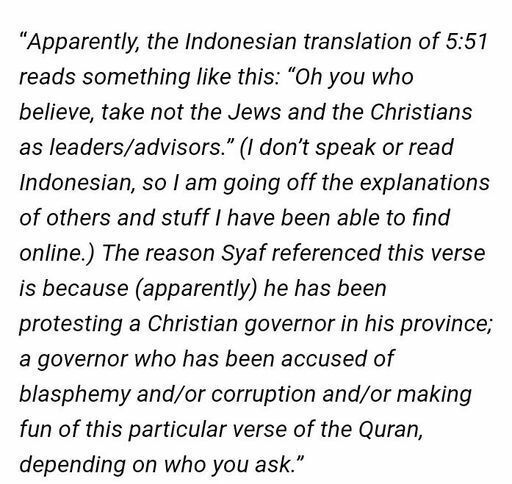 In Indonesian yes it does mean Christians and Jews should not be our leaders but the true translation means otherwise and she may not realize that. DM: Not if you read her opinion on it. She said she knows the exact meaning therefore your argument is flawed. DM: Yes she does. She partly blames it on the translator and what his agenda was since many Muslims do no speak Arabic. Therefore when Syaf read the inaccurate translation he believed and followed the blind hate. DM: So as you can see she knew exactly what she was talking about. She actually brought in more than I knew. Next question is for Dark-Monitor do you think that that Syaf was unfairly made a target because of politics? Peter David said disrespectful things about the Romani people and it was not treated near as badly. DM: I am not aware of what Peter David said or did nor am I here to debate that. If it was equally of act then I don’t see a problem of him getting the boot. This includes the condition if Peter David also did something without the permission of the publishers or the creative team. SM: If Peter David was forgiven easily, if Ardian is a *#$& (Which, okay, granted, he seems to be one) then why not Ardian who didn’t directly say it and he said he often works with Christians and Jews as well as not hating them? SM: Except he has. He has not preached against the people he works with openly. Christians and Jews alike. Syaf would also not be racist considering that Christians and Jews are not a race. 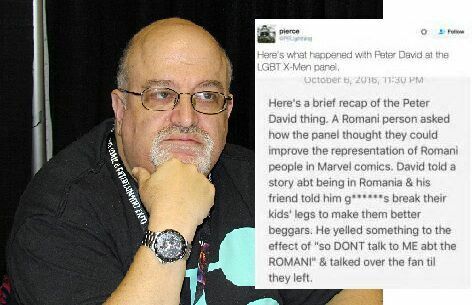 Also, I did a quick search, Peter David did this exact same thing against Romani people not even a year ago back in 2016 and he was forgiven easily. I do want to point out that Jews are actually a race. DM: Let me correct that. He is an anti-Christian and an anti-Semit. The fact that that he never before revealed his anti-Semitic and anti-Christian acts should not be evidence of him actually not having anything against the groups. DM: It’s like saying “Hey this racist guy never said the n word until today. Therefore he was always respect for people of color ” What do you mean by that? SM: Ardian actually knows what the verse means and that’s why he’s saying it was a number of love and peace. G Willow Wilson even as a Muslim misunderstands the verse and takes it from the Indonesian Translation. It could also be something else between the two regarding the verse. SM: The thing is, there are factors that aren’t considered. And okay lets say he did, alright. He put the verse number in there thinking he was going to be spread whatever message. Problem is, he doesn’t say anything outright to suggest the reason he put it in there. All of this is behind the scenes. MARVEL themselves even said that it was put in there without context and he was only fired because he did it without permission. SM: Also, maybe she’s even talking bad about him because he was kicked and she’s just jumping on the bandwagon. That’s happened to me before personally. But even then, we don’t know. DM: Number of love? The man is crazy. The number refers to the day of the HUGE protests against the Christian governor which happened on December 2nd (02.12.). He also wrote that they should not follow Christian/Jewish leaders. This, plus that plus the fact that he decided to feature it in a comic starring Catholic and Jewish characters who are part of the team who fight together with others is a clear indication he is the one who interprets the quotes in a radical and prejudice manner. Par this up with him saying Jewish people would’ve never gotten this backlash is so clear. If 212 refers to the most known protest against a Christian governor in Indonesia and he sees that number as a symbol of love then you got yourself a problem. DM: I love how he deleted his messages on the matter. Saying 212 is a sign of love for one doesn’t make sense because in no religion or known culture is this true or documented. It doesn’t make sense times 2 because it refers to protests against a Christian governor. DM: And correction Marvel said they weren’t aware of this until people brought it up to their attention. 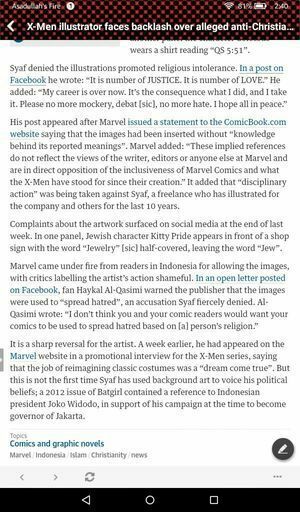 Then Marvel apologized, condemned the actions and removed the images from the comic. I think saying we don’t know for sure is clear when his position is pretty clear seems like being in denial or you just wanna protect the guy for other reasons of yours. DM: There is all this evidence and you choose to dismiss it. 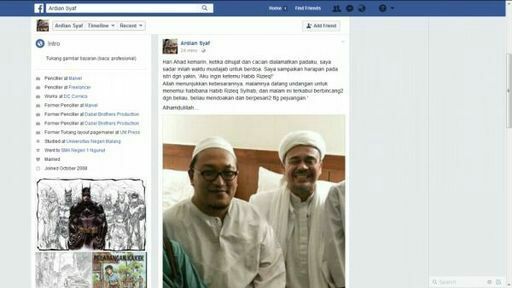 Well I should also tell you Syaf also had meetings with Rizieq Shihab, the leader of the Islamist organization Islamic Defenders Front. 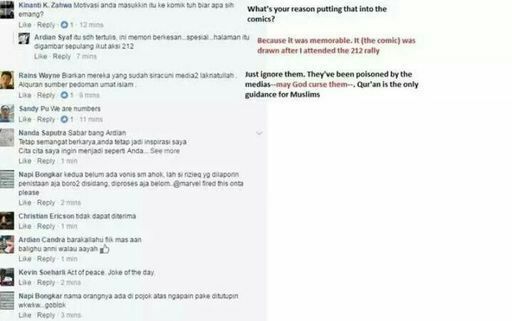 The group has caused acts of violence against non-Muslims in Indonesia, and was one of the organizers of the 212 protest. DM: Clear proof that Syaf aligns himself with people who are primarily interested in the discrimination of non-Muslims. He has endorsed this group. He actually also deleted this post too, but luckily we still have an image of the meeting. SM: What he views it as is another thing entirely and it is not clear on what he means by that to begin with. Again, there are varying factors. Listed above. SM: Notice how his views are not reflected and his actions are still not clear whether or not he meets with the leader of some group using violence against Non-Muslims. Remember, this is all behind the scenes. This is purely speculation and there haven’t actually been reports or in depth details on such things. DM: I want the best person on the job who shares values of freedom, justice, equality and tolerance. Atheist, Christian, Muslim, Jewish, doesn’t matter. As long as they are good. For you to suggest something like that is concerning. You’re saying a Christian governor isn’t able to lead Muslims, therefore already making them false leaders before any consideration other than the one based of religion. I get what you’re saying, but you should rethink it through. DM: You also admit Indonesia has their well share of problems with discrimination so you are aware of their unfair acts which should be another piece of evidence to support my claim. Syaf is a man who endorses groups who commit the acts you deem wrong. DM: My source says he deleted them before he was kicked off. My bad. True. Marvel didn’t apologize but they did say no one working there believes in these values (did not mention the Syaf). DM: Lol. If it meant nothing why did he delete it? I guess that’s a pretty clear answer to me you and I won’t agree on. DM: More stuff. Clear reference that the reference was him attending rallies, taking part in the wrongdoings. Now do you still think the meeting meant nothing? SM: You misunderstand. I do not mean intolerance. A Christian or a Jew not being able to lead a Muslim in a certain country does not mean intolerance. They can live in harmony and peace and they should not be arrested or killed, maimed, or treated unjustly in anyway. That’s a given. What I mean is that today nowadays, all of the groups follow very different paths and if one is on a certain path, then the other should leave not try to guide unless it is necessary and they’re leading you on the right path. SM: When was the last time Syaf put out a borderline add for these groups or endorse them? I don’t know about your source. I can’t say anything about it. SM: Okay? They didn’t say anything about Syaf…But still, his views are not present. It’s a drawing of a verse. If he is attending the rallies, there are no reports on what he did at those rallies at all. SM: Again, also, Syaf may also have a different view on the meaning of the verse as well. Idk. DM: Your “What ifs” are have low chances of being true. It’s like you’re not sure what to believe “Maybe G Wilson doesn’t know what she is talking about, even though she said she did” Then when talking about his relations with anti non-Muslims leader “maybe they met for other reasons” even though he attended 212. It’s like you’re making excuses for him. You always choose the possibility that has not very strong foundation. DM: Also I think most modern religions are in good shapes morally and it is only one of the religions that has hard times adjusting to modern times and values us in the West hold so dearly. So not all religions choose very different paths. DM: Did you miss my convo with you? Endorsed them by meeting with their leader and being part of their organised protests. Let me give you an example. Imagine if Trump came to a Nazi meeting or a KKK march. DM: I actually can’t find anything on him being banned from Facebook. I Google it. Nothing popped. DM: He uses the verses to present his views. The references he drew are all connected the protests. The number 212 and the verse are all things that were used heavily during Basuki for his Chinese and Christian background. Again, the location is know for discrimination against Chinese and Christians there. And Syaf admits he was at the riots/protests. He called them “memorable”. Okay, I think we’ve exhausted this. And I think we’ve all learned a great deal about Indonesian politics through this controversy. Let’s move to closing statements. Dark-Monitor will be first since Spider-Man was first to open. DM: My opponent believes Syaf may not be an anti-Christian or an anti-Semitic, but the factual evidence provides otherwise. 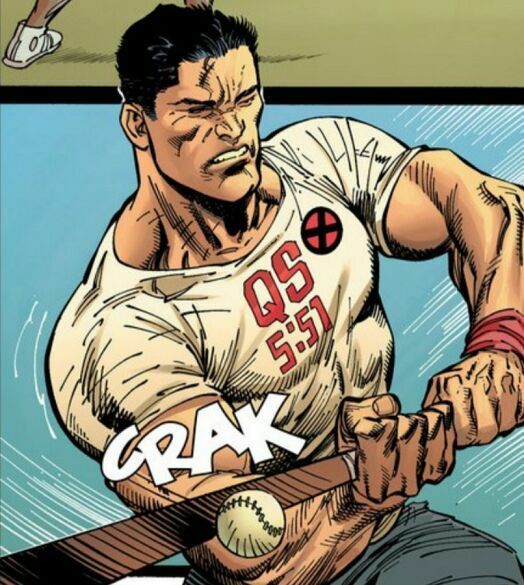 The artist’s choice to insert the message against a Christian/Chinese governor, and how no one should trust Christian and Jewish leaders in a comic book about unity of all religions, sexes, races, sexual orientation was clear. He then went on later to talk down about Jewish people with no remorse not to forget his endorsement of an anti-non-Muslims who operate in violence. This is why the X-Men Gold #1 controversy shouldn’t be dismissed. SM: G Willow Wilson understands both meanings and she claims that Ardian Syaf has a stupid philosophy on the meaning. All of which not clear. The groups and meetings he has been too does not prove anything about his views. The event he referenced and why he did it barely has any context. And even if the verse was there purposefully to spread hate, it actually means something different contrary to belief anyway so he would’ve done the exact opposite. He did it without permission, and business wise he deserved to be fired. But the backlash even before his statements was there unjustly. Peter David did the exact same thing and he was forgiven easy not even a year ago. I believe that the situation should’ve been brought to light with more open minded thinking and investigation for us to truly know what happened and why it happened. I’m Robert Reynolds and from the debaters and myself, thank you Comic Amino for joining us for this debated and keep posted for future debates brought to you by The Watchmen of Amino. Which side of this debate do you fall on, tell us in the comments and let us know who won. Also, if you’d like to participate in a debate, let any of the Watchmen of Amino know. We would love to have you. I’m with you on this. I wasn’t aware of this controversy before reading this post, and now after a complementary search I’m caught up. It feels similar to the Cat Stevens controversy to me : a bad message was sent, there was a weak excuse given, and now the artist want people to give him the benefit of the doubt and stop debating. Unfortunately it doesn’t work. And I can understand Spider-Man’s stand here, to a point. 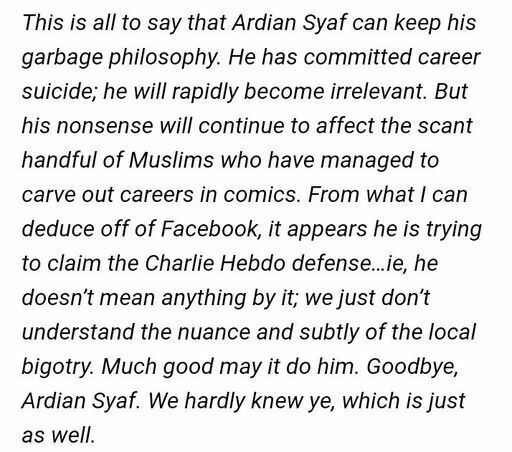 There is a lot of evidence of Ardian Syaf views on non-muslim, but SM wants a clear statement from Syaf answering all the questions we have. Maybe he’s worried we’re jumping on the hate wagon too fast. But without that statement from Syaf, we have to work with whatever evidence we have. In my opinion, if Syaf wants to stop the controversy, all he has to do is step up and clearly say what his intentions were and what those references mean to him. Whether he proves he is a bigot or that it was all really a misunderstanding, at least the questions will be answered and there will be nothing more to debate. I am gonna post more debates, but this time I won’t be debating anyone.